Dr. Sunghoon Kim has been studying novel functions of human aminoacyl-tRNA synthetases(ARSs) and searching for their pathophysiological connections to human diseases. He has identified potent novel tumor suppressors such as AIMP2/p38, AIMP3/p18. He has also investigated novel extracellular activities of ARSs and associated factors such as lysyl-tRNA synthetase(KRS), tryptophanyl-tRNA synthetase(WRS), and AIMP1/p43. He also discovered the oncogenic variant of AIMP2, designated AIMP2-DX2, as one of the critical factors that determines the survival of lung cancer patients. More recently, he found that leucyl-tRNA synthetase(LRS) serves as an amino acid sensor for mTOR signal pathway. In summary, his research is unveiling novel regulatory network mediated by human aminoacyl-tRNA synthetases that have been regarded as housekeeping machinery for protein synthesis. The regulatory roles and implications of these proteins in human diseases have been largely overlooked for decades. His discoveries on the new function, pathology and medicine of ARSs are rapidly opening a research area that throws new insights into the central dogma of life and human diseases. 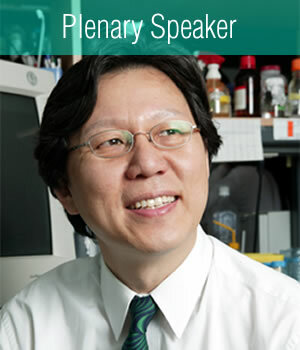 He received many prestigious awards including the Donghun biochemistry award (2000), the National Presidential Award (2003), the Best Scientist of the Year (2006), The Award of Korean National Academy of Science (2012), Ho-am Prize in Medicine (2015), the TechBiz star award (2015).